The roof tends to be one of the most forgotten parts of a home. Unless there’s a major storm, we rarely even think about the condition of our roof. Through the years, though, a roof becomes worn-down and susceptible to damage. 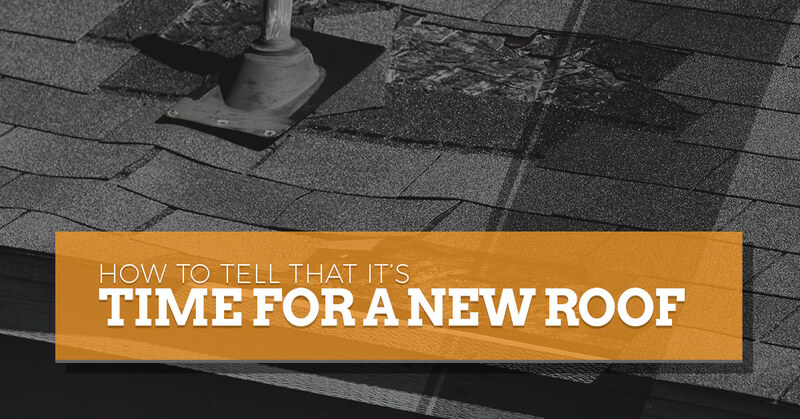 But how do you know when it’s time to consider a new roof? Keep reading for some roof repair and replacement warning signs. Shingle edges are curled or shingle tabs are cupped. You spot cracked, shrinking, worn, discolored, or missing shingles. Your roof is at least 20 years old. While many shingles today are produced for durability purposes, many factors can accelerate the aging of shingles. For example, if your roof isn’t properly ventilated, your shingles can be negatively impacted. You see that neighbors are getting new roofs. Remember that homes built around the same time period can experience the same types of weather conditions. So if you see others opting for roofing services, it may be time for you to do the same. Your roof exhibits hail damage. We touched on how to identify hail damage to your roof in a recent post, but it’s important to mention it again here. You notice dark streaks on your roof. The majority of homeowners don’t realize that airborne algae cause dark streaks on roof decks. Simply put, this completely ruins the look of a roof. Moss is starting to grow on the surface of your roof. Unlike airborne algae, moss presents more than just a cosmetic issue. Moss holds moisture against the roof surface and can eventually cause damage to the granules on the top of the shingles. In order to not damage the shingle surface, it’s a good idea to consult an experienced roofer. Our roofing contractors offer hand nailing on all roofs over 7/12 pitch. We do it all, from roof installation to roof repair services and everything in between. For your convenience, we offer both tear-off and new construction. We only offer the most trusted industry brands, such as GAF, IKO, and CertainTeed. We go the extra mile in treating homeowners and their property the way we would want to be treated. Clients feel comfortable knowing that we are dedicated to bridging the gap between them and the insurance company during the claims process. In fact, we have licensed insurance adjusters on staff to ensure that your claim is handled properly and efficiently. There’s nothing we enjoy more than bringing peace of mind to homeowners. Let’s get started with your new roof today. Call now to ask about our residential roofing or commercial roofing from Sands Enterprises.